Nomadic living involves a different way of seeing things and a different attitude towards accommodation, family, work and life. For many people, the home is a symbol of permanence and the physical expression of stability and security. For others, there is less of an aspiration to put down roots and rather a desire to explore the natural environment – to travel, adapt and change living conditions with ease. 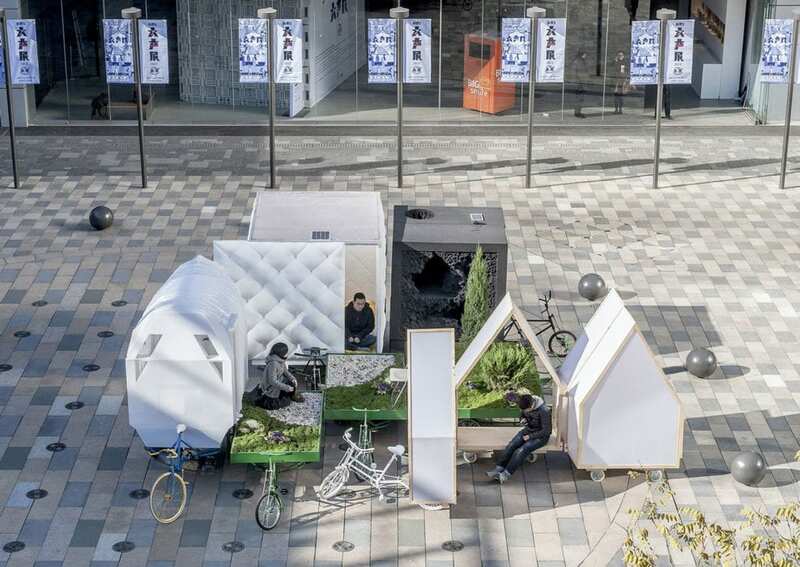 This gives rise to small, flexible and moveable structures for the urban nomad.Adopting a nomadic lifestyle can be voluntary or it can be a radical response to housing shortages and a rejection of typical property ownership models. The growth of cities and suburbs is beginning to make many people question the most ideal way of living and there is a growing interest in unconventional forms of domestic design. Mobile and modular housing looks to satisfy such demands and has given rise to some quirky and resourceful forms of nomadic architecture.On the other end of the scale, nomadic architecture has the opportunity to address a mode of housing for the less fortunate – those who are homeless or driven from their homes due to war or natural disaster. 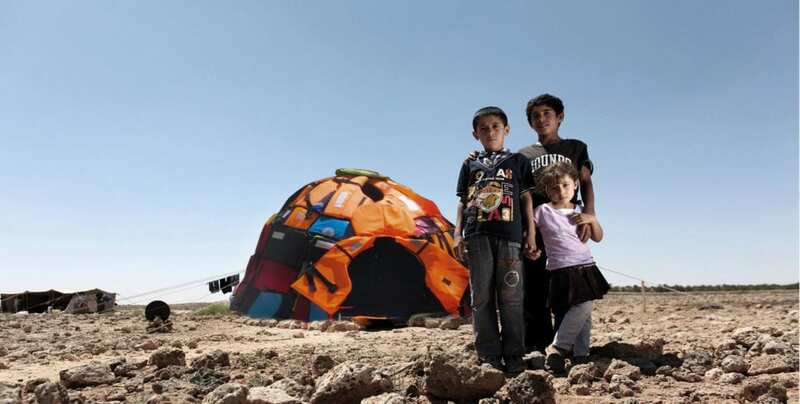 In this regard, nomadic people have always been forced to re-invent themselves, to defend their culture and to struggle to survive.The following collection of projects redefine the meaning of home and they prove that the nomadic spirit of our hunter-gatherer ancestors is very much alive in the modern world. 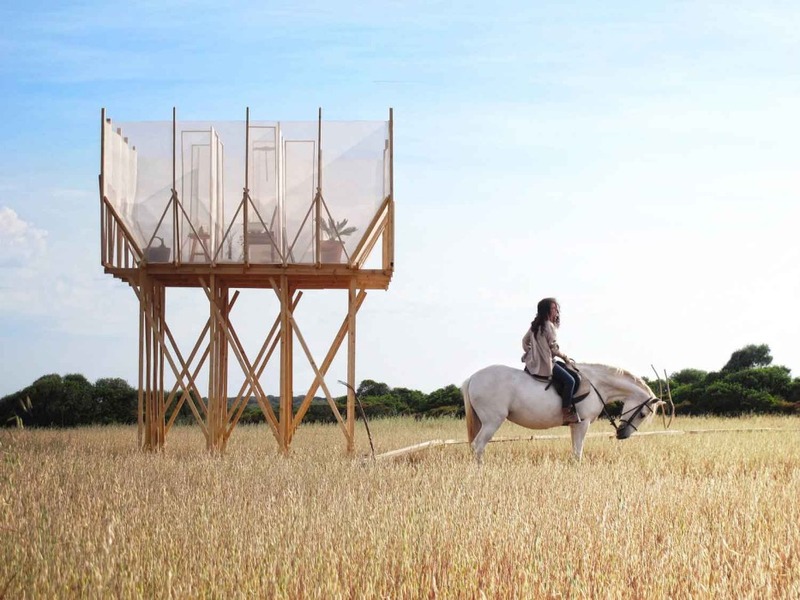 When life is not concentrated in one location, nomadic architecture proposes new living typologies that involve transforming the way we rest, cook, work and exist on the go. 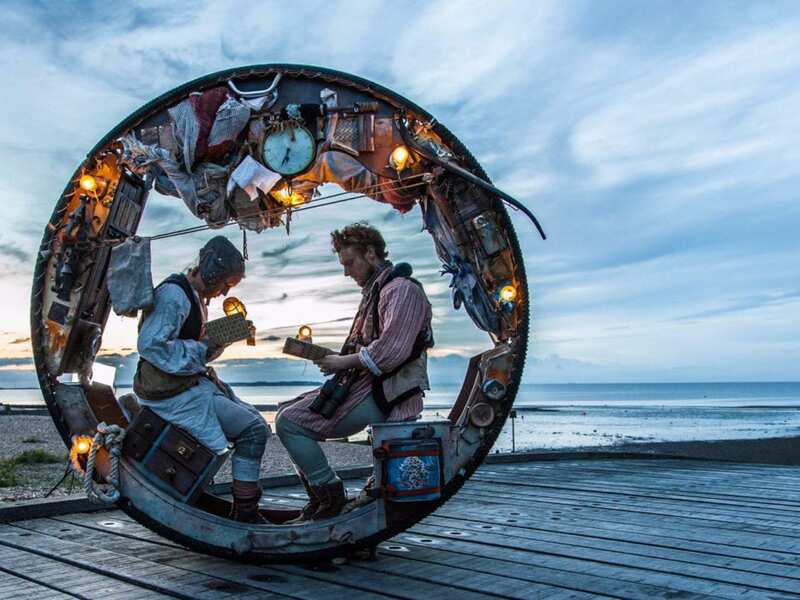 Let’s take a journey through some of these ingenious structures, shall we? 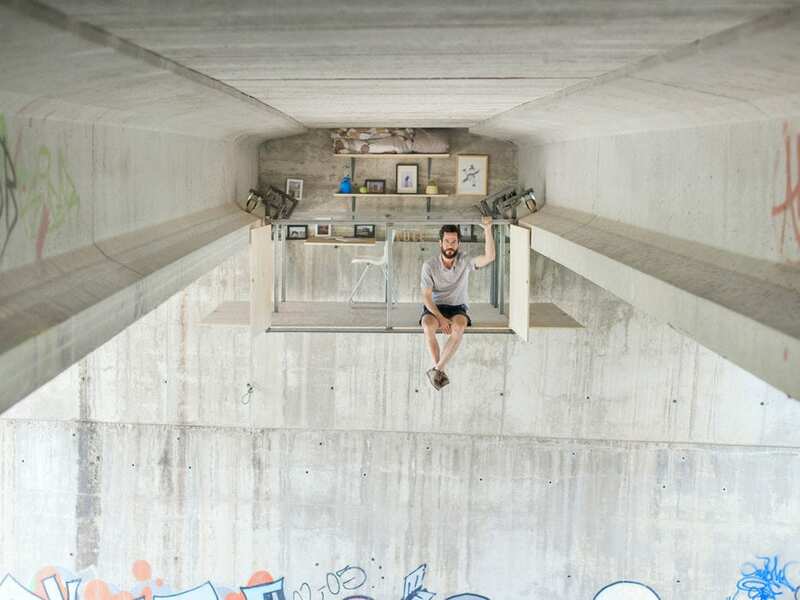 Designer Fernando Abellnas has installed this studio beneath an overpass bridge in Valencia, Spain, but he prefers not to divulge its exact location in the city. This tiny, moveable dwelling is conceived as a refuge in the city which embraces an urban and industrial setting. To access the suspended structure, Abellnas uses a hand crank that transports the entire structure along two metal rails. Shelving, which contains picture frames and other personal mementos, has been directly attached to the bridge, while a desk, chair and cushions make the urban shelter more comfortable for longer stays.“I feel a great attraction for this type of place and sometimes I make interventions in them. I depend a lot on the conditions offered by the place,” says Abellnas.“It is a personal intervention that tries to put value in these type of spaces. It is also about recovering those sensations of the huts we used to make as small ones. To stay isolated but at the same time close to our house, the city.” This is certainly an interesting living proposition that could probably work for you if you can get over any fear of heights and exposure to the elements. Minima Moralia by Tomaso Boano and Jonas Prišmontas is a manifesto and social commentary combined in one installation. The project references Minima Moralia by Theodor Adorno 1951 and investigates the current living conditions in the city of London. 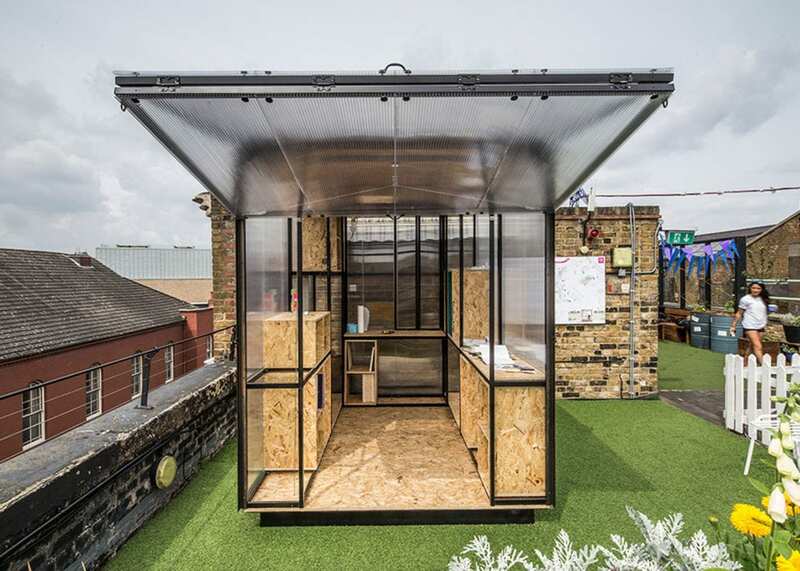 It is a social experiment that promotes human interaction and interconnection between private spaces and public use.The small studio is a programmatic vision for London’s backyards and interstitial spaces and is intended to be inhabited by designers, sculptors, painters, musicians and other creatives. Workshop and live/work studio spaces have the potential of creating new typologies for creative communities that would pop up in unused public or private spaces around the city. its structure is made of a modular steel frame that creates an empty grid with multiple internal configurations. Add on shelves, desks, artificial lights, and curtains can be provided to meet the user’s needs. Grooming Retreat by Gartnerfuglen & Mariana de Delasv is a thoughtful structure that rises up form a barley field in Mallorca, Spain. The timber platform was the “dream” request of a woman who had moved back to her hometown in the south of the Spanish island. “She asked for a space for grooming, contemplation and delicacy,” explained the architects, who worked with makers from India, Russia and Canada, as well as their home countries to realise the structure.Surrounded by bushland and wild olive trees, the structure grants a panoramic view of the Mediterranean sea, senses at the horizon the lush island of Cabrera. The space occupies a 3×3m footprint, whereby the timber frame elevates the cocoon to achieve exclusive views, whilst giving a sense of containment and translucent privacy for the user. Layers of white netting are interlaced throughout the frame, achieving varying opacities for each specific use. This wonderfully contemplative space is at home with its setting but could potentially be moved to evolve with the needs of the user. 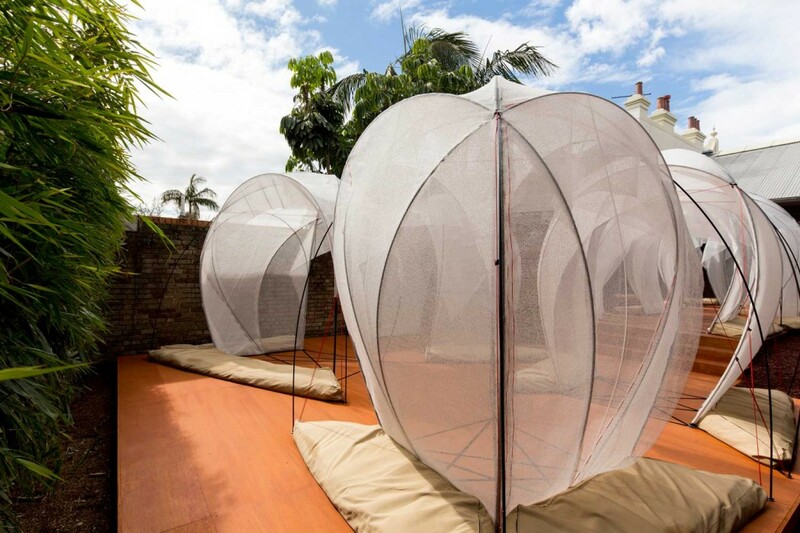 Sherman Contemporary Art Foundation’s Fugitive Structures Programme is part of an ongoing exploration of temporary pavilions located in an urban context. 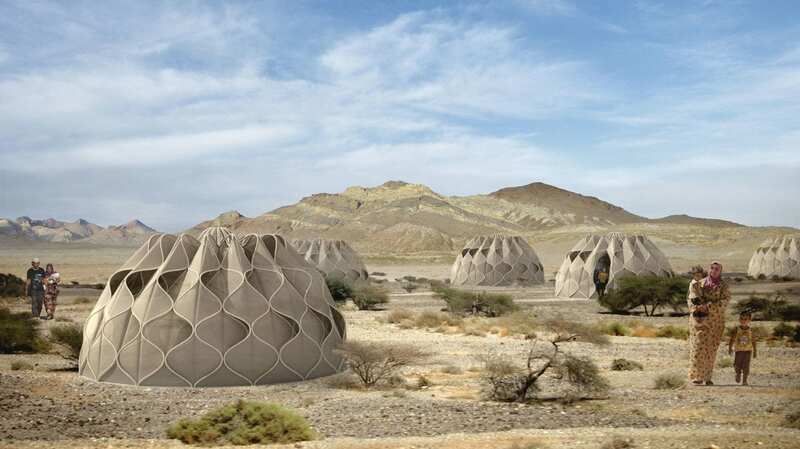 Shown here is Sway Prototype – an audacious ecological structure inspired by Israel’s use of scientifically calibrated fabric greenhouses which promote the growth of fruit and vegetables in a predominantly arid landscape. Sway fills the gallery’s Zen Garden and has been created by Tel Aviv-based architectural collective Sack and Reicher + Muller with fabric expert Eyal Zur (SRMZ).The pavilion references Sukkot, an annual festival commemorating the Old Testament story of the Israelites sheltering in the wilderness en route to ‘The Promised Land’. 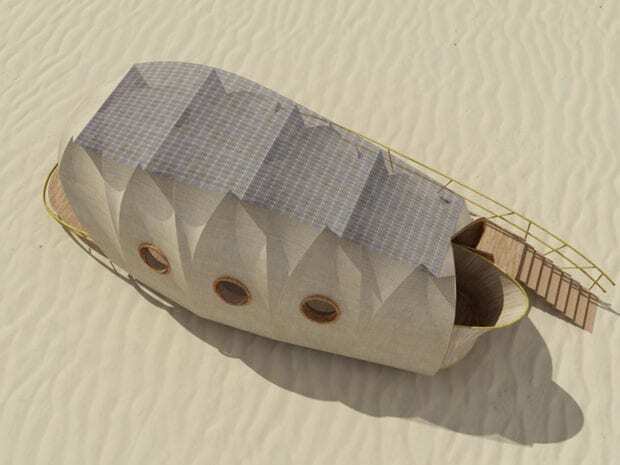 Sway conjures up an impermanent fabric structure that owes as much to modernity with its use of high-tech materials as it does to the familiar shapes of nomadic Bedouin tents. 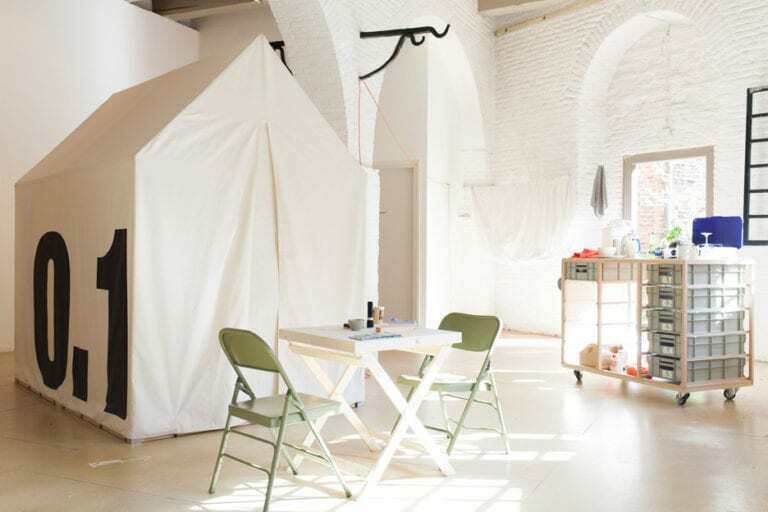 Jero Flat Pack Yurt by Trakke and Uula Jero is designed for easy transport befitting of a nomadic lifestyle. The marine grade plywood yurt is four meters wide but packs down to a one square meter space. With the help of three people, the structure can be assembled tool-free, in less than two hours. CNC fabrication techniques are utilised in manufacturing, allowing the complex shapes to be cut out with very little waste and without compromising on structural integrity. 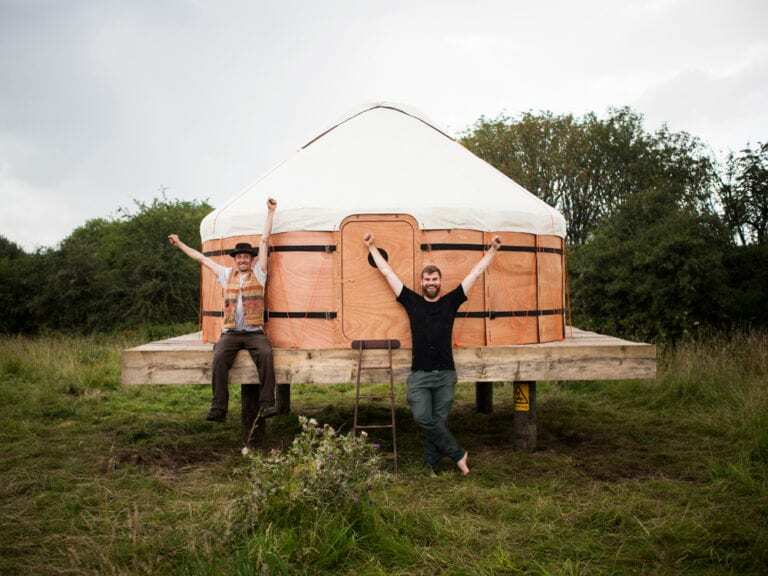 Jero currently has one of the modern yurts in a field at the back of his home, which he uses as an off-grid living retreat. The Looper by Nomadic Resorts are prefabricated pod dwellings that can be used in a variety of climates and conditions. The low-impact shelter incorporates a wastewater treatment system and it’s powered by renewable energy. The nomadic dwelling is perfect for jungles, mountains, or beaches, and it can move from one exotic location to the next without disturbing the land it settles upon.The mobile pod is made from a lightweight tensile fabric stretched over a sustainably sourced wooden frame. The structure’s shape was inspired by the form of caterpillars – it’s made up of segments that fold out to create a curvilinear structure. Fit with all the necessities, each pod includes a bathroom, a large changing room, an air-conditioned sleeping area, a small office with Wifi (! ), and an indoor/outdoor lounge complete with entertainment system. Sounds ideal! 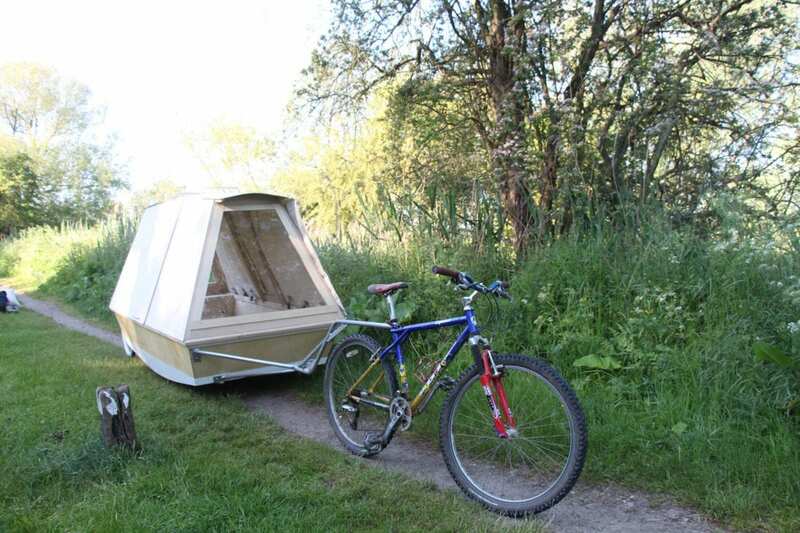 Emmy Polkamp’s Nomadic Hotel is made up of tents that can be used to create accommodation in abandoned structures. The “travelling hotel” tents are designed as a resting place for festival-goers or visitors to events, offering single or double rooms that can be set up inside disused buildings. Polkamp created the concept to raise awareness of empty buildings and provide an alternative to traditional hotel accommodation. 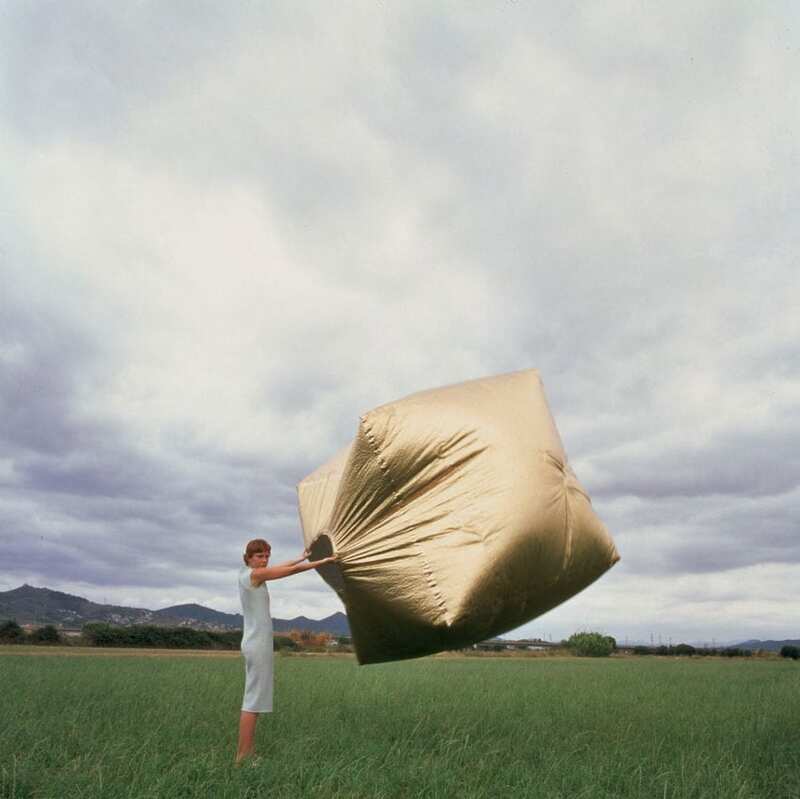 “Then the idea for a hotel that travels from one spot to the other popped up in my mind. Because you don’t have to stay in one city with your hotel, you can re-use empty buildings and give them a new purpose instead of having them empty,” says Polkamp. 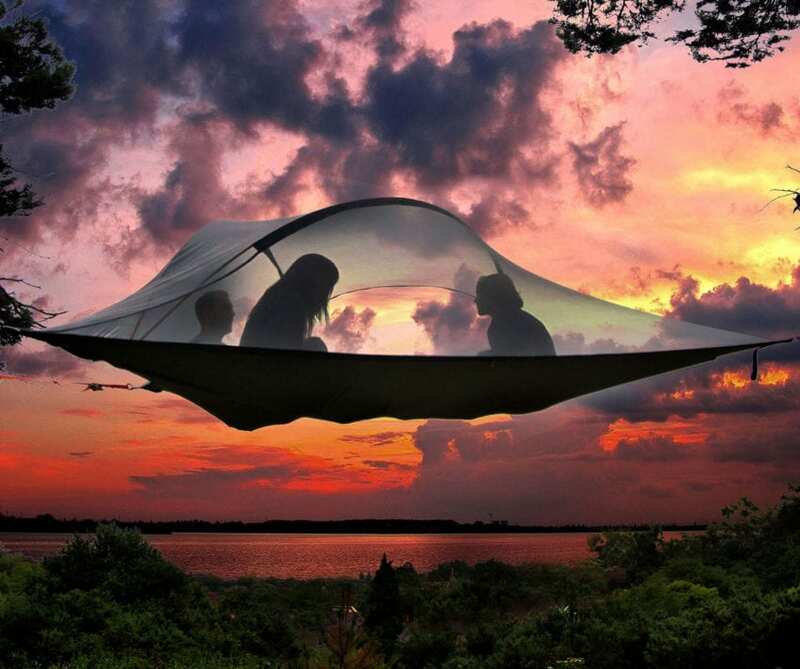 Tentsile Tree Tent allows you to hide away in the canopy of the tree tops. These are a collection of ‘portable treehouses’ that are perfect for camping trips. The tensile structure bridges the gap between an outdoor habitable unit and an elementary hammock. The tents have cover screens that can easily shield against insects, animals and elements while the reinforced floors are strengthened by the tensile force when tautly suspended between the tree trunks.